CCA Kids Blog: #ThankfulThursday: We Are Thankful For EazyHold! We are featuring a new item in our care packages, EazyHold. What is it? I'm so glad you asked. 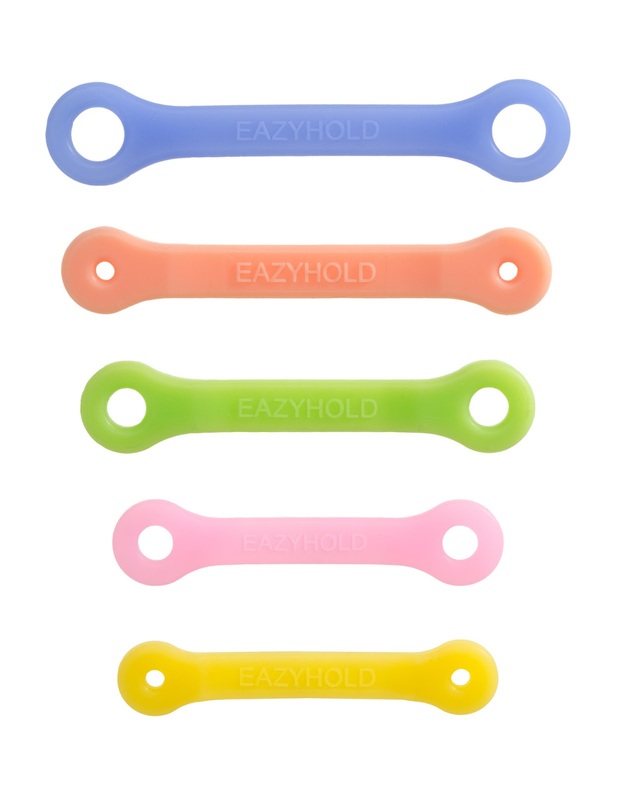 EazyHold silicone is a "universal cuff assistive devices are affordable general use straps that help people accomplish daily living activities independently despite physical conditions" and those that need some enhancement to their grip strength. Different sizes accomodate varying hand sizes from infant, child, teen, all the way to adult. 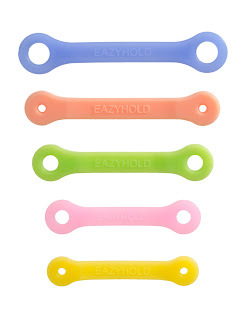 EazyHold silicone cuffs comes in a variety of different colors, too. 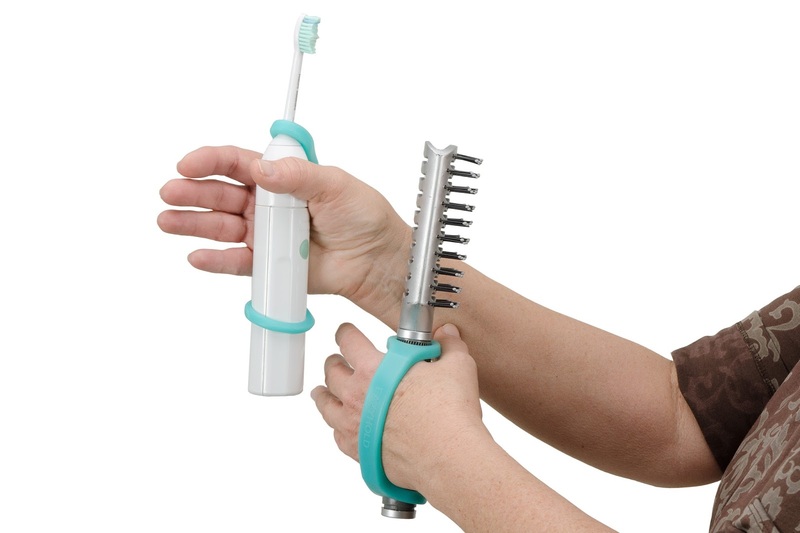 Eazyhold can be used to eat, brush teeth, color, use your smartphone, write, and so much more. You can even play with your action figures! There is even an EazyHold product made specifically for assistance with sippy cups and bottles. Staying hydrated was never more colorful, fun, and well, easy. We love Eazyhold and think you will too. 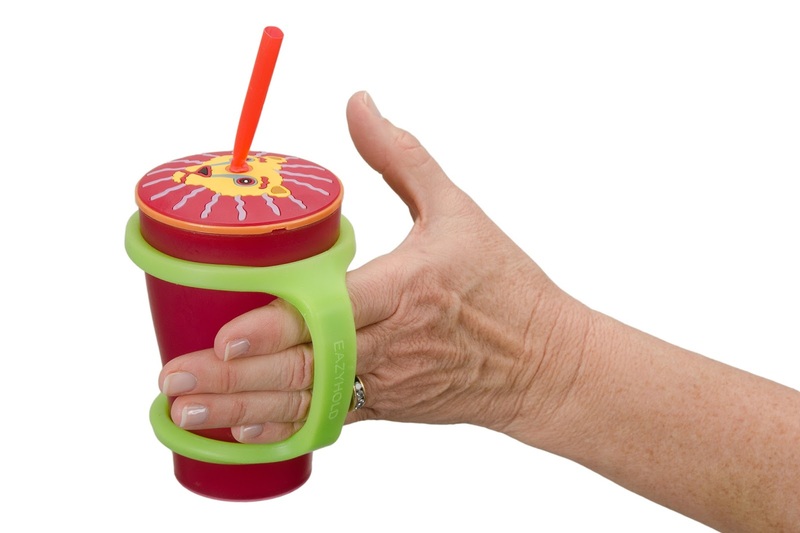 Dishwasher safe, easy to clean, and keep free from germs. The silicone cuffs allow your child and friends to do everyday, daily tasks. Eazyhold is truly transformative. You can spread your love for Eazyhold by donating money toward purchasing one for a person in need. Learn more about the the product and the donation in the program in this video.